Home > Printable Coupons > Avent Coupons | Over $16 in Baby Savings! Avent Coupons | Over $16 in Baby Savings! Are you or someone you know having a baby? 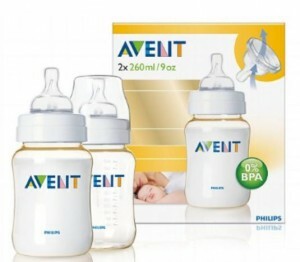 There are some great new Avent coupons available that will help you save on pacifiers, bottles and a breast pump! Bottles and pacifiers make a great gift at any baby shower. These coupons don’t expire until 12/31, so you have plenty of time to wait for a sale. Print now before they are gone!